If you enjoy the unmistakable energy of Balkan gypsy music as it slips from high energy with dark undertones to haunting drum and mournful trumpet, then Niko Ne Zna is here for you. 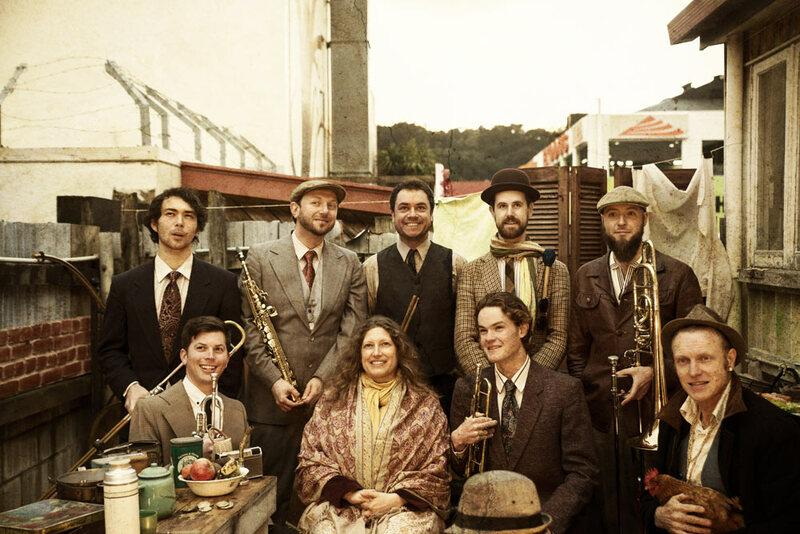 This foot-stomping, clapping, singing and dancing Balkan gypsy brass extravaganza, comes to Castlemaine all the way from the land of the long white cloud. A musical juggernaut, Niko Ne Zna has been stunning crowds with their virtuosity across New Zealand for almost 10 years. Singing in Serbian, Romani, Macedonian and Greek, they seamlessly weave joy with sorrow, exotic tunes and fantastic grooves with exhilarating solos. The band includes some of New Zealand’s finest instrumentalists. With three of its original songs featured in the film What We Do In The Shadows by Flight of the Conchords creators Taika Waititi and Jemaine Clement, Niko Ne Zna are atmosphere builders extraordinaire.